A native of Jamaica, Derefe came to America to study at Northwestern. He plans to complete his doctoral degree in political science this spring and already has secured a tenure-track position teaching political science at the University of Memphis. 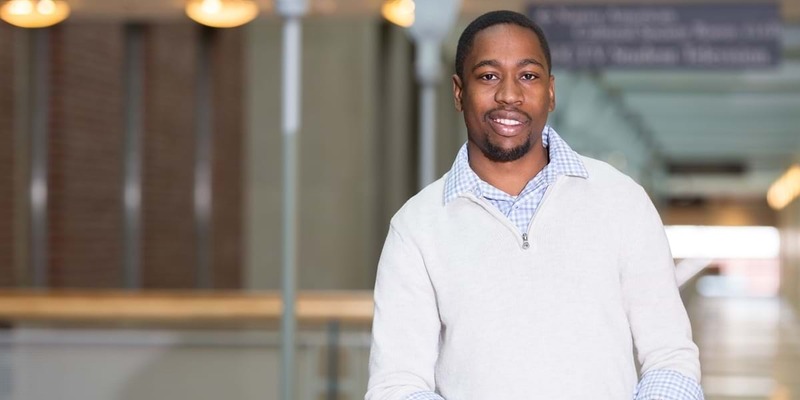 And because of the influence Northwestern’s intercultural office had on his life, he’s also hoping to be involved in the university's diversity efforts. Why did you major in political science? My first political science class was at Northwestern. And while I had no prior knowledge of the subject matter before college, I knew global issues were of tremendous importance both to the political world and in the context of our responsibility as Christians to be a source of love and light. It was a love for people, and the diversity of the human race they represent, that fueled my desire to learn more about pressing political questions. Because I am from Jamaica, the first communication I had with Northwestern was through the intercultural office. They had such a welcoming spirit that I knew this was the place for me. It was the intercultural office that brought me to Northwestern and kept me there. I was also very encouraged and supported by Northwestern’s host family program, which provided me with loving support for the duration of my college experience. What did you appreciate most about the political science faculty? With just two professors, the political science department is relatively small. But what it lacked in size it made up for in passion, grace and brilliance. In fact, I would venture to say its size presented a benefit of enabling intimate and personalized conversations where I could get to really know my professors. This isn’t the case at other universities where teaching assistants are the closest contact to faculty students can get. I am privileged to have developed a lasting relationship with my former professors, so much so that they supported my grad school journey years after I left Northwestern. That sort of commitment to student growth is as admirable as it is rare. How has political science strengthened or challenged your faith? I don’t think the question is so much how my political science studies challenged my faith as it is how my faith challenged my political science studies. My faith taught me the dual value of having patience with those who stand differently than me on important political issues while never ceding the ground to bigotry and injustice. Most importantly, however, it taught me to always be prayerfully driven in all my pursuits: to let go and let God. How did Northwestern prepare you for your future? NWC prepared me well for the rigors of graduate school with a quality education. Northwestern also taught me the importance of developing supportive communities; it taught me the value of fighting to be a voice for the voiceless; and it taught me the skills of advocacy and what it means to stand boldly for what is right and just. Years after graduating, it’s still teaching me those lessons.